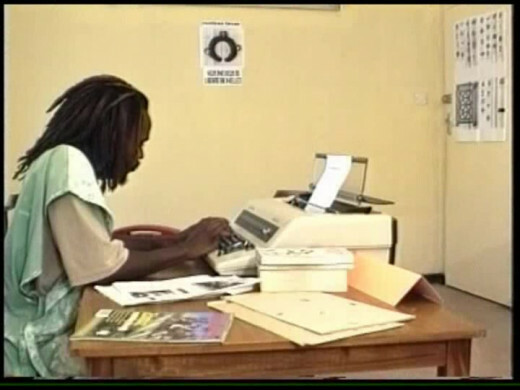 Masimba is a blogger, novelist and screenwriter, with work published online and all over the world. What makes a good, Zimbabwean script? The simple answer to that is; the same elements that would make a good script for a movie made anywhere else; a plot, characters and a sequence. This is the sort of stuff they teach you at film school in greater detail than this one line, even if you do opt not to major in screenwriting. This is what it boils down to. In fact, these are the same elements that make up any story be it in the form of a poem, a play, a novel etc. The only difference with cinema is that they are delivered as a sequence of moving pictures and sound- which is why they are called 'movies'. And if they are to be even considered for sale, movies have to adhere to industry standards on length. But moving pictures and sound sequenced clumsily make for a bad movie. 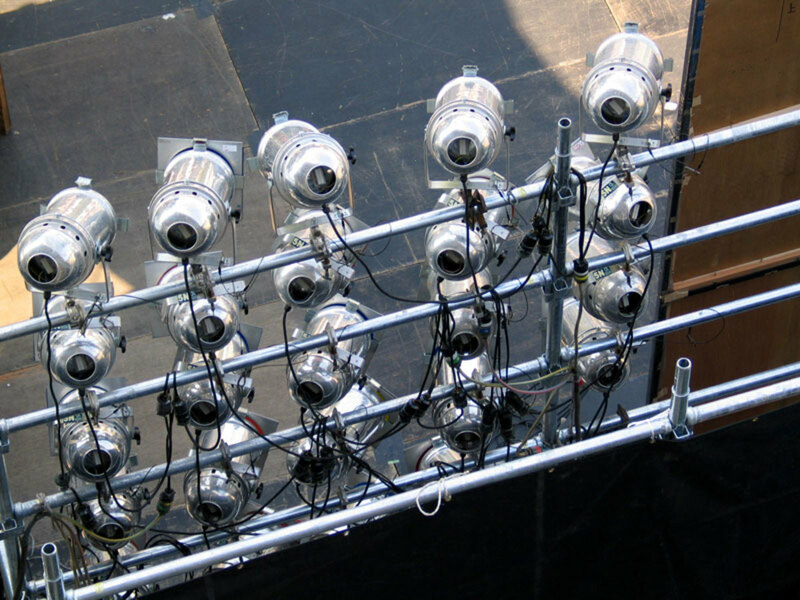 How we arrive at a clumsy sequencing of moving pictures and sound may be down to bad directing. Yet, before we get to directing, we start with a script. The saying goes that if it ain't be on page, then it ain't be on stage (or screen). This instalment will touch on the subject of screenwriting in Zimbabwe. Given the plethora of really bad movies being churned out of Zimbabwe of lately, many people would be surprised that there have actually been training programmes for screenwriters in the country, and that many Zimbabweans have also had the opportunity to train as screenwriters abroad. In 1996, I started on a Diploma in Screenwriting & Directing at the now defunct Vision Valley Film, Video & Television Institute. One of the tutors in this training institute was the late Godwin Mawuru. Another was Stephen Chigorimbo. After this, I did a Screenwriting Course with Edgar Langeveldt's Nexus Talent Agency, tutored by Karl Dorn. There were other training organisations in Harare at the time. ZBC producer King Dube had a training programme, I think it was attached to Denmak College. There was also the Unesco's Southern African Film & Video Training Project, and the African Script Developement Fund. I did a Course in Writing Comedy with the African Script Development Fund, which was tutored by Mr Ken Rock, founding president of the Comedy Writers Association of the UK, which is now called something else, I believe. He was not the only expert to come to Zimbabwe to share his knowledge with us. In 2002, Idit Schechori of the School of Screenwriting, Tel Aviv, Israel, came to teach us writing for short films. So, there is definitely a pool of highly-skilled Zimbabwean screenwriters or screenwriters of Zimbabwean origin. Then, why oh, why do we have to bear the derison of the world with the most bizarre storylines for movies? The simple answer to that is that many of these wannabe film producers that have emerged have this absurd belief that cutting out the cost of hiring a good screenwriter will still lead to a good film. I get enquiries from Zimbabwean filmmakers and when I tell them my fee, they try and haggle and then try elsewhere. I can only suppose that they get a similar response every elsewhere because the film gets made, but it is written by an uknown. And, it is badly written. So, it becomes a very bad film. I have had producers plead poverty, and promise to pay me once the film gets made. How they expect anyone to believe a film will be made by a producer who has just said that they haven't any money is ridiculous. Why should I spend 3 months working on a feature-length screenplay knowing fully well that it will be shelved as soon as it is delivered? Oh, but this is Zimbabwe, they howl. You know how it is, you can't expect us to be like Hollywood, we don't have the money. Remember in a previous instalment I said that one of the biggest problems with the Zimbabwean movie industry is that we see ourselves as "behind" and destined to be always "catching up". We accept the mediocre, and make it the regime. This is from my scene in Tawanda Gunda's 'Vengeance is Mine', this was the time that I ventured out in to the world of screenwriting. 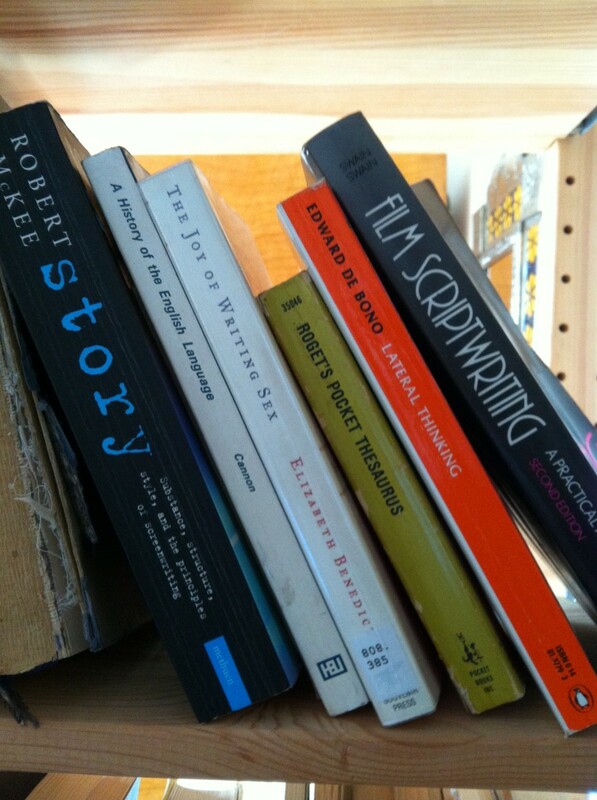 Why should you invest in a good screenwriter? The question should be; why shouldn't you? You want your film to be a success don't you? Believe me, nothing else that you are ever going to spend on your film, be it in hiring a famous international actress (The Zimbabwe I know), marketing and publicity (Thorns) HD cameras (Lobola) will compensate for the abscence of a well-written script. The cited examples of recent productions bear testimony to this beautiful, simple fact. 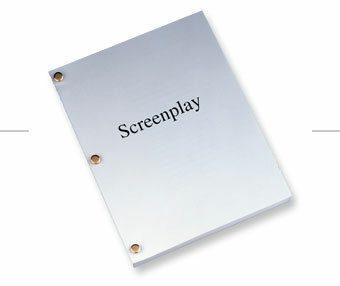 A good screenwriter attached to a project is a selling point, especially if the writer has a reputation in their own right. So, if you are trying to raise money for the film or get a sale, you stand a better chance if you mention that it was written by someone reputable. Increased chances of a sale translates to increased chances of recouping whatever you may have spent on making the film; why would you want to be your own obstacle towards achieving that? A good writer will save you money on your actual production. A well-written script can be easily read by everyone involved in the actual shooting, cutting down on the time and money needed in the preparation process. This is why I ask prospective clients what sort of budget they have for the actual production. If they have millions, then why not an intergalactic battle scene? So, if you are serious about keeping it low-budget, do not cut out the writer!! It is not worth it. A good writer lays the groundwork for good directing. While the director gets the credit for "making" the film, the person who puts the story to paper has laid the framework for a director to translate in to a sequence of moving pictures and sound. Having someone else do the writing makes you look professional. It shows that because you delegated someone else to write, you had more time and energy to put in to the actual making of the film. I have a production company, Oriit Films Ltd, and I do write, act, produce etc, but I NEVER play more than one role on an individual project. Some of you may have heard of Fireboard 2, that I will be writing. I got me a small acting part in Fireboard 1, but I am only writing the sequel. The first thing the director did was assign someone else to be the producer, and run around getting other professionals to fill different roles. The result is a movie that is guaranteed to put Middlesbrough on the map. A professional writer takes pride in their work. That is your quality control in that important attribute of a good writer. This is why sometimes, if I feel the project has other standards issues, I request that my name does not appear on a production's credits. A professional writer understands that a badly made-film will reflect badly on their chances of getting further work in the industry. A professional writer also understands things like confidentiality. Your friend, who loves acting but has only written dramas at church, may have the passion and will work for free, but that is not going to lead to a film that can stand on its own whether at home or abroad. In conclusion, I want to thank you all for your comments and queries. However, I do wish you would post your comments on these articles rather than in private messages so that the debate can include more people. I am pleased that you mentioned the screen writers role as a pinnacle to a best project, honestly i am one person who likes writing but that does not define me as a pro- writer! I have thus developed concepts which i have then looked for trained writers in Zimbabwe and abroad to develop them, my company rely on these trained personnel and its true, they are needed and must be paid well. However it takes repeated attempts to be a seasoned writer and few people in ZImbabwe do not want to specilize into their specific jobs in the film sector, today yu read so and so wrote the project then next they direct then next they have been the camera person and one guy in ZIm does everything for the whole production! its sad koz in the end, its low level work which even Zimbabweans cant watch yet ZBC still buys such stuff so that to now tell such people that this work is poor stuff, they will say with confidence, if it really was bad, why did our broadcaster buy it, so that means somewhere somehow there are no standards in the sector, its like just come with anything and we take it. even at USD$1000 they accept yet to produce any project is so costly that something must be done...........wat, i am yet to find out. Imagine you approach me to write a script. You say you do not have the money to pay me, which is an indication that you do not have the money to make the film anyway. But for the love of contributing the best to our industry, I slave away for three months and have 110 pages of a screenplay for you. Then you decide that you don't want to make the movie after all. Where does this leave me? I have worked for nothing. There are a lot of movies that have not been made, but for me as long as I have been paid for my contribution, it doesn't bother me any more than it would bother an actor who has been paid when their scene is cut out of the final edit. If producers respected the contribution of the writers, I am sure many more of us would be willing to donate our services. I too have many dissapointments with Zim Film Industry however I applause the players in the industry for taking the initiative. I think its time we should learn to be true to ourselves, be true to your strengths & weaknesses, if one is a writer and knows directing a movie will be challenge I think its better to focus on your area of expertise. However I have noticed that most good writers know how to direct their story, problem are the directors who are trying to write scripts, writing is a gift, coming up with a good story line is a calling.I believe we have good writers but if only they can be willing to share their talent freely at one point. Can these good writers always ask for money? Sometimes it will be good to donate for the love of contributing the best to our industry.